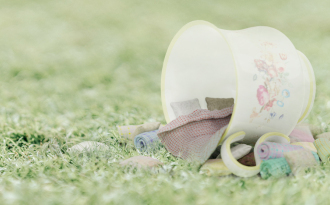 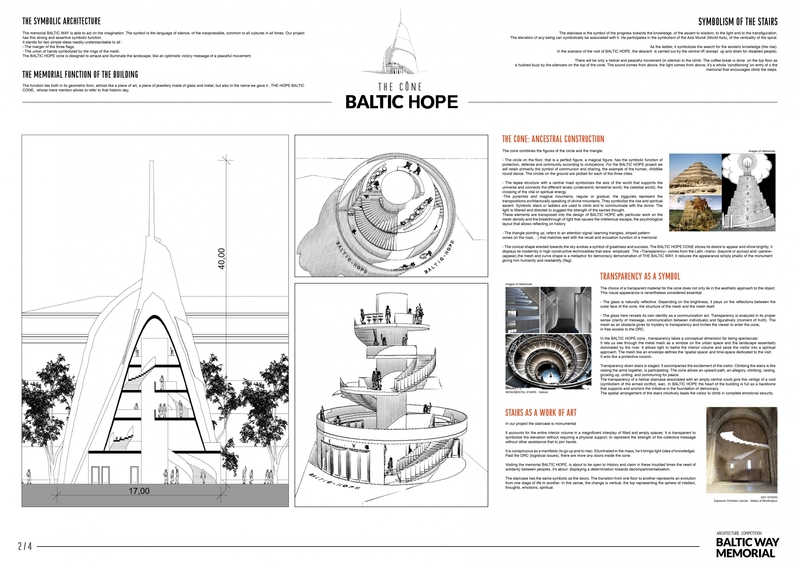 The Baltic Way Memorial competition is rich with cultural history and political potential. 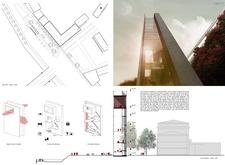 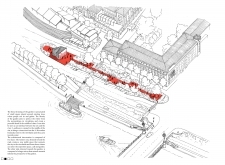 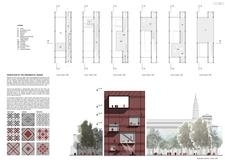 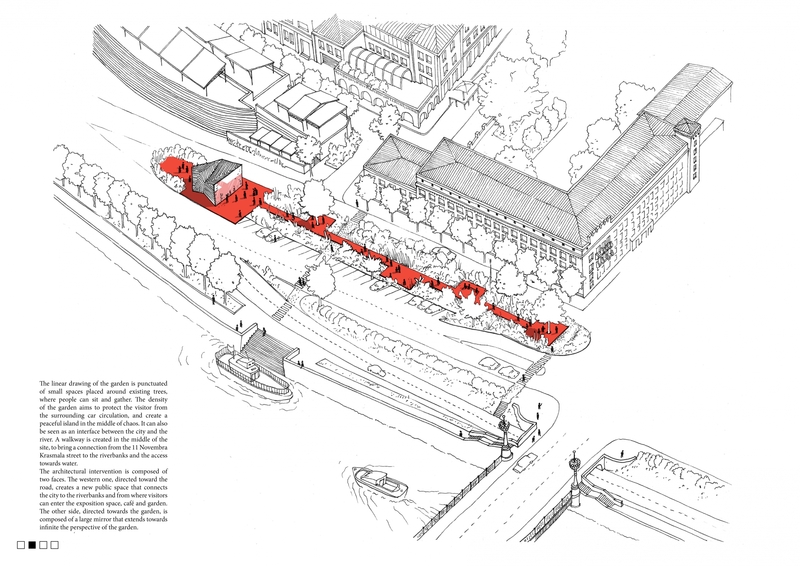 Despite the challenging subject, the simple program and small site offer a bite-sized piece of public didactic space in the center of Riga that serves to educate the public while encouraging public discourse on the subject. 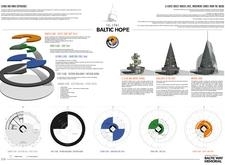 Since the topic of nonviolence is broad, the judges focused on entries that honored the dual nature of the subject, both drawing on both the seriousness of the topic and Baltic Way event while also illustrating a lightness and hope for the future. 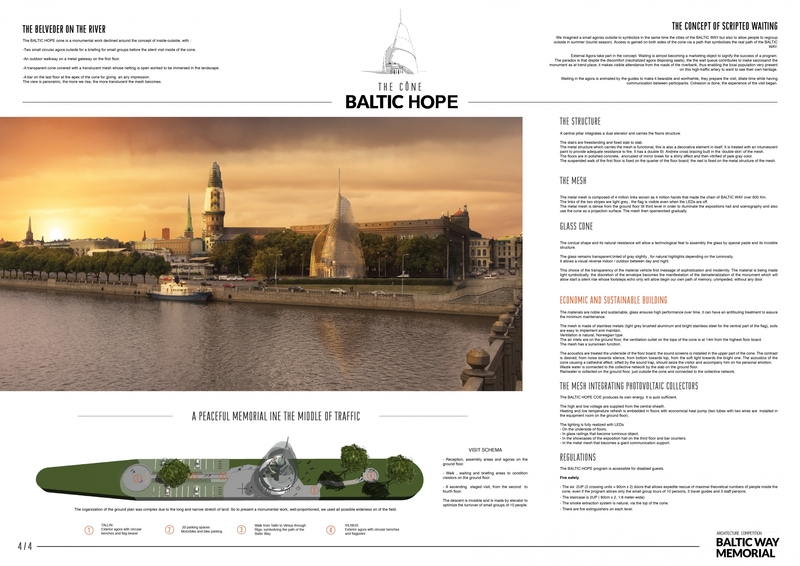 Each entry was evaluated on a number of criteria, including but not limited to: strength and clarity of concept, originality, quality of presentation, appropriateness of scale, appropriateness to context, and most importantly, its strength as a public space in Riga to memorialize both the Baltic Way and other successful peaceful protests. 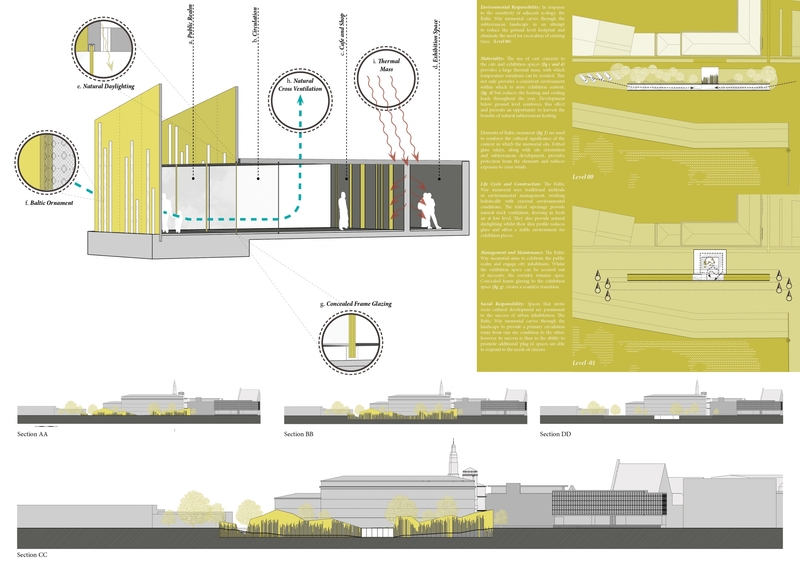 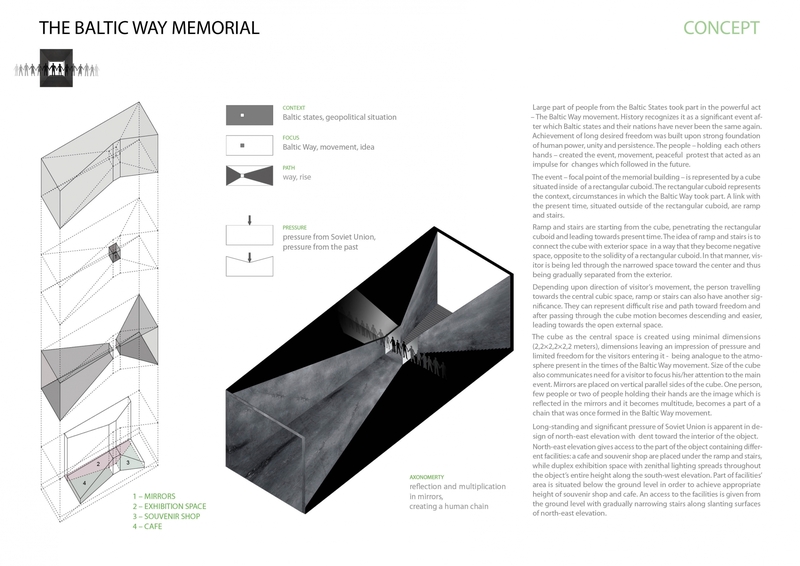 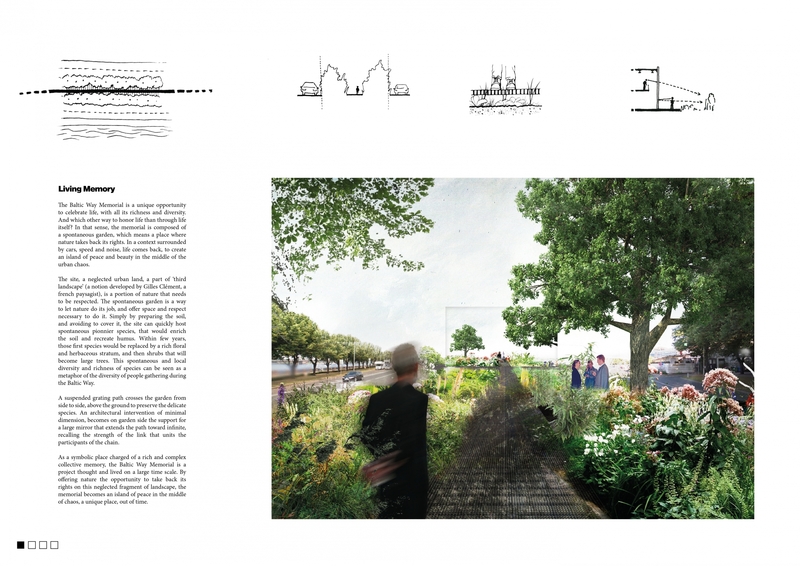 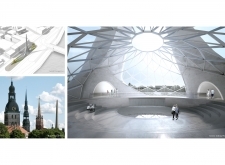 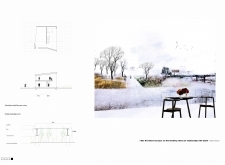 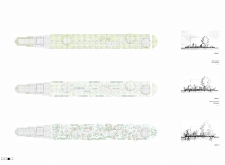 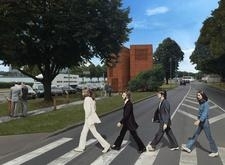 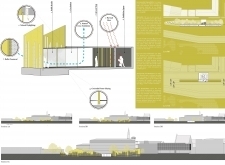 Baltic Way Memorial competition winners revealed! 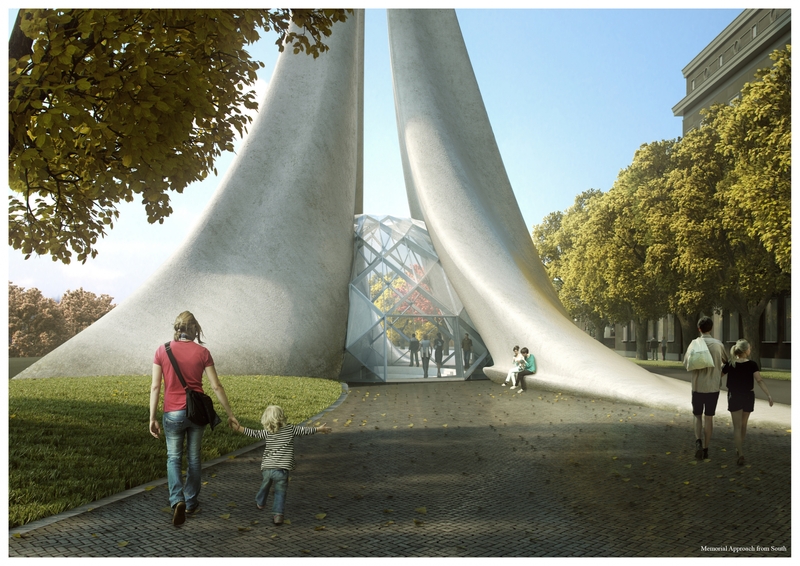 We would like to congratulate Latvia on its Independence Day! Baltic Way Memorial architecture competition is launched! 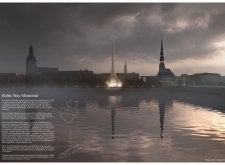 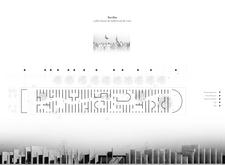 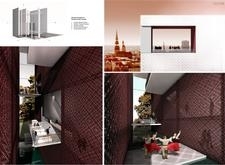 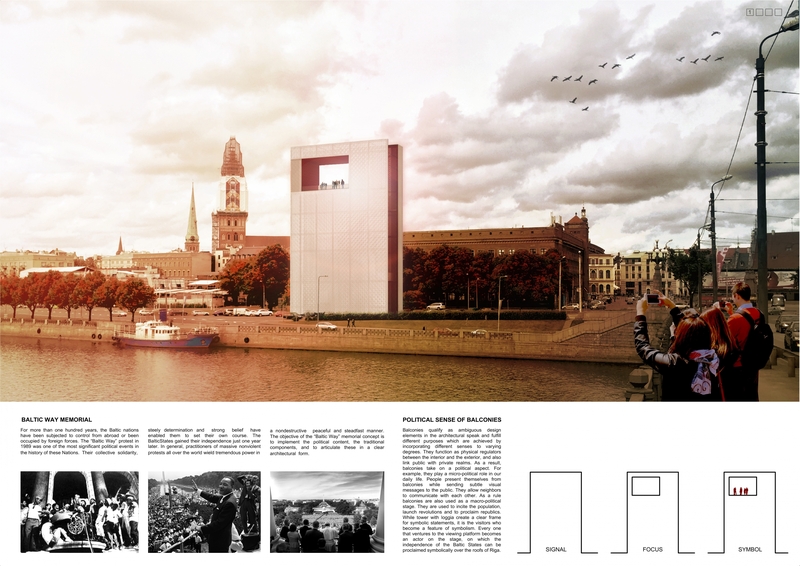 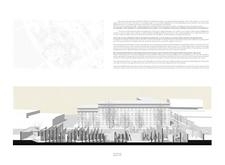 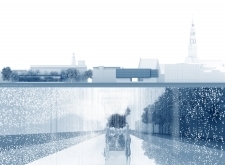 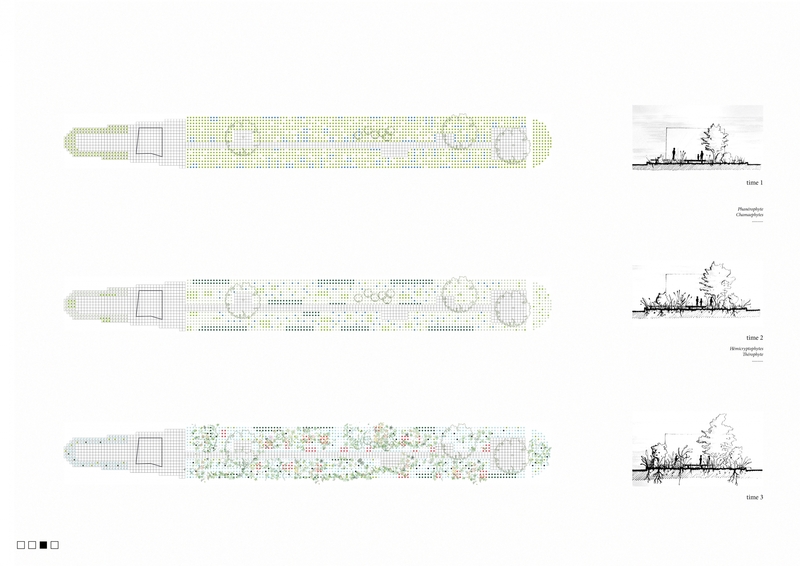 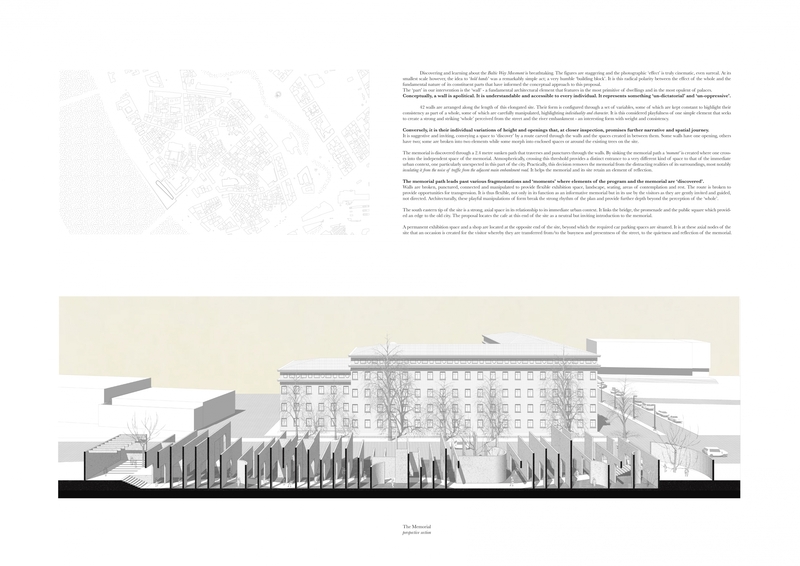 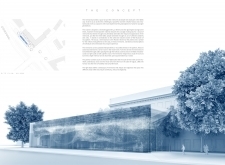 The winning submission stands out as a potential icon of memory and hope for the city of Riga. 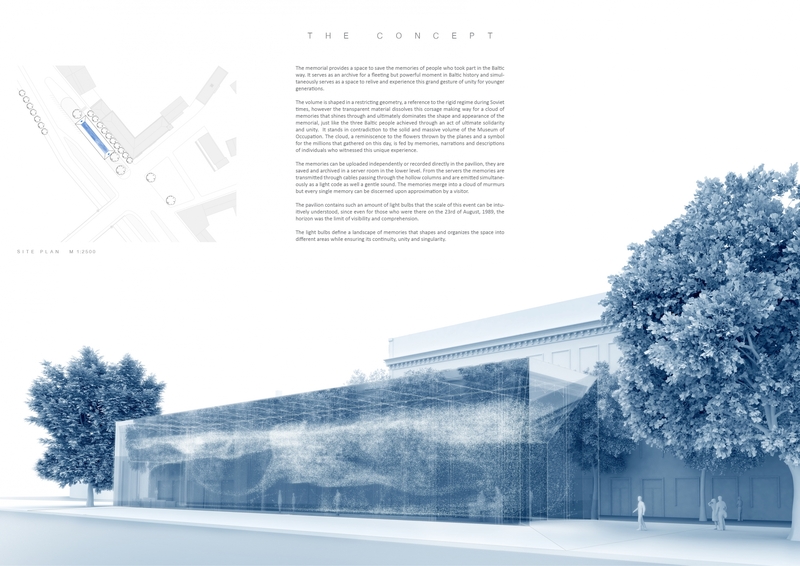 It seamlessly weaves together the program into one coherent whole while reaching beyond its site to make a statement for the city, ultimately spreading its message and increasing interest more effectively. 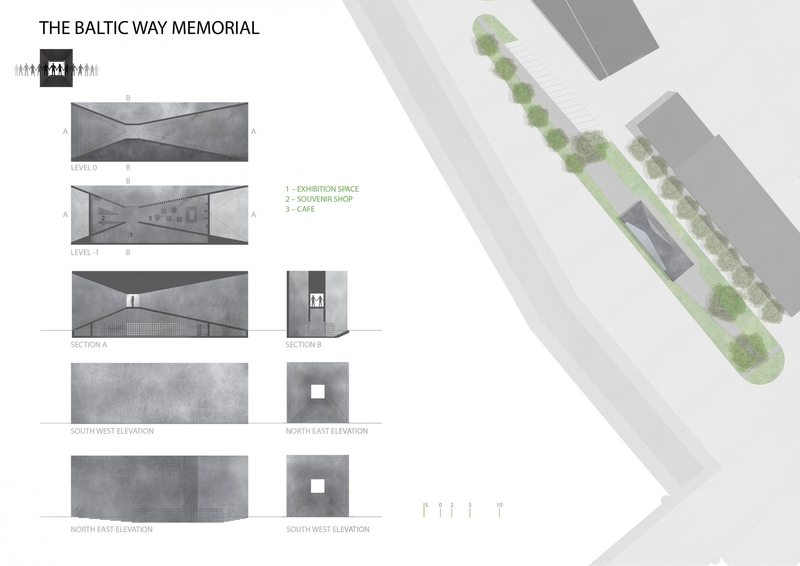 The scale of the monument is appropriate for the program, and thoughtfully bridges the smaller individual scale with a broader urban scale. 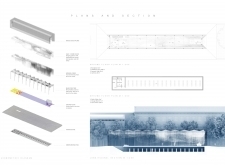 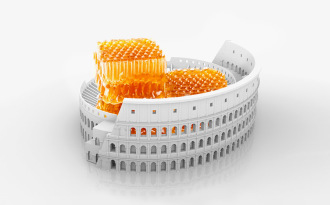 The organization of the program at the ground level fits this logic accordingly, with each of the three smaller program components nested inside each of the three fins, all united by a central atrium space. The images are of a high quality, and invoke a dreamlike vision of Riga’s riverside that encourages collective learning and reflection. 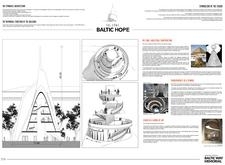 The amphitheater component at the center of the project, while not included in the program, is a clever addition in its potential to serve the people of Riga and Latvia by hosting lectures or events. 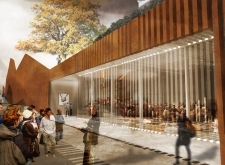 This in turn could raise more awareness of both historic and contemporary political movements, thus becoming a local forum for discussion and ideas. 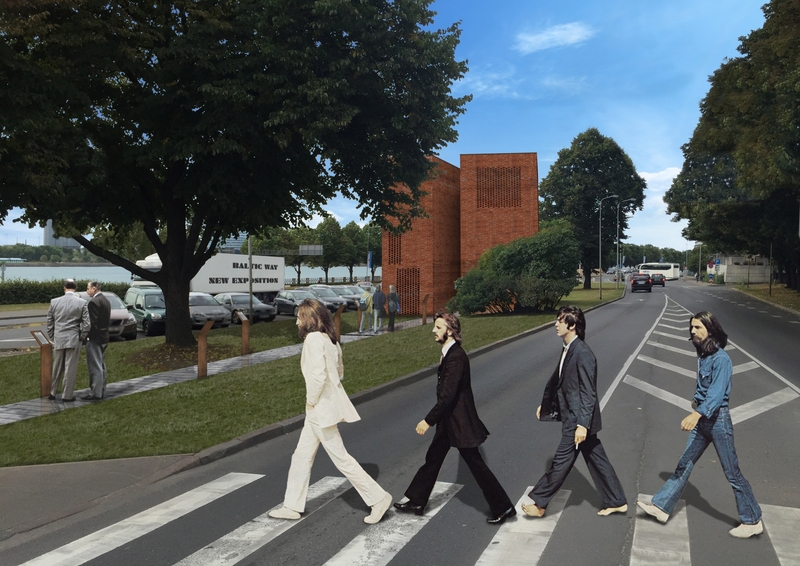 Not only does it fulfill the program requested while providing a visible icon for the city of Riga, but this project contributes additional program that would augment the impact of the memorial. 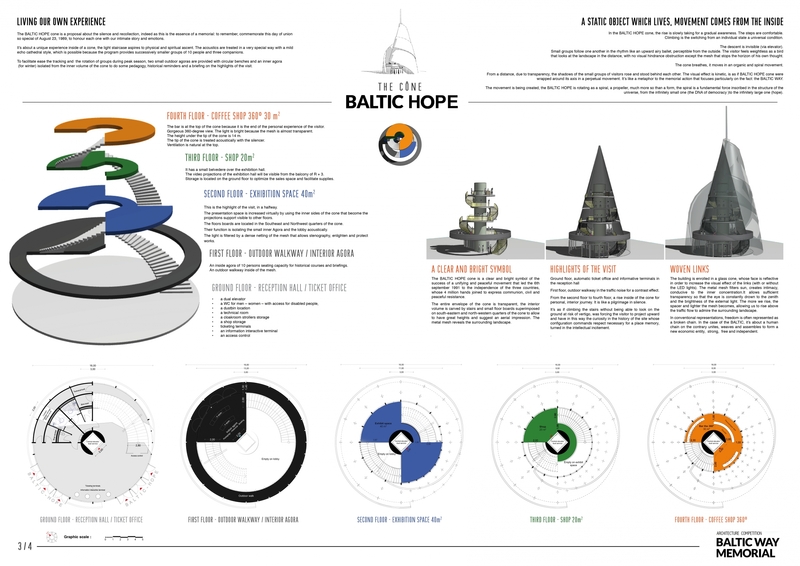 The tripartite nature of the design as a metaphor for the three Baltic states, Latvia, Lithuania, and Estonia, is provocative in its manner to both show them as distinct components reaching to the sky, yet also joining together as they rise, symbolic of their link under the USSR during this historic event. 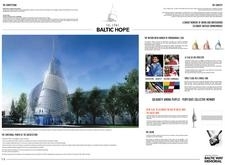 The architecture cleverly displays this dichotomy, metaphorically showing that the three Baltic states, while seeking their respective independence, were literally able to join together to achieve this collective goal. 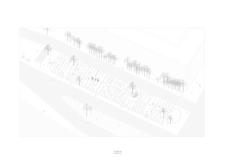 Additionally, the many details included in the presentation such as viewing the object during both day and night, as well as the scalar reference to the nearby church towers, bring a richness and a tone of reality to the proposal. 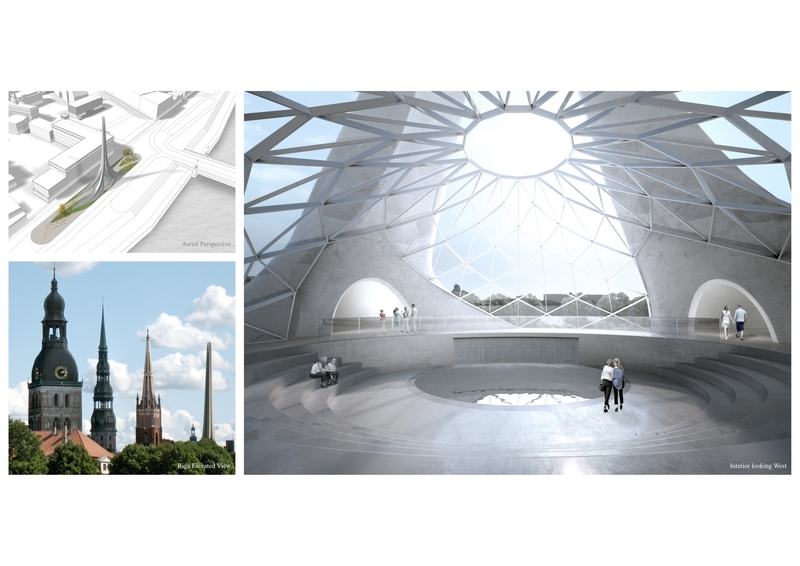 Even the juxtaposition of the two materials, one organic and bone-like, the other a triangulated glass dome, creates a tension that expresses the dual nature of the Baltic Way. 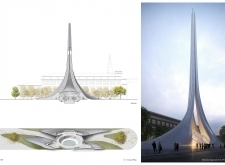 The design successfully balances an expression of both the weight and power of this historic event with the lightness and hope following the nonviolent protest. This project takes a simple proposal to create a unique and meditative environment that encourages personal reflection. 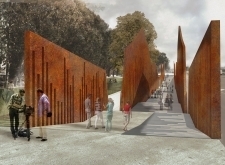 Drawing upon the history of the Baltic Way, this memorial places a series of walls lined up across the site to represent the many people lined up throughout Latvia, Lithuania, and Estonia during the Baltic Way. 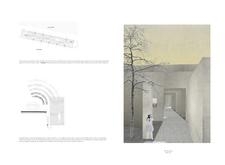 The result is an environment that, in its rigid repetition, seeks to make an emotional impact on its visitors. 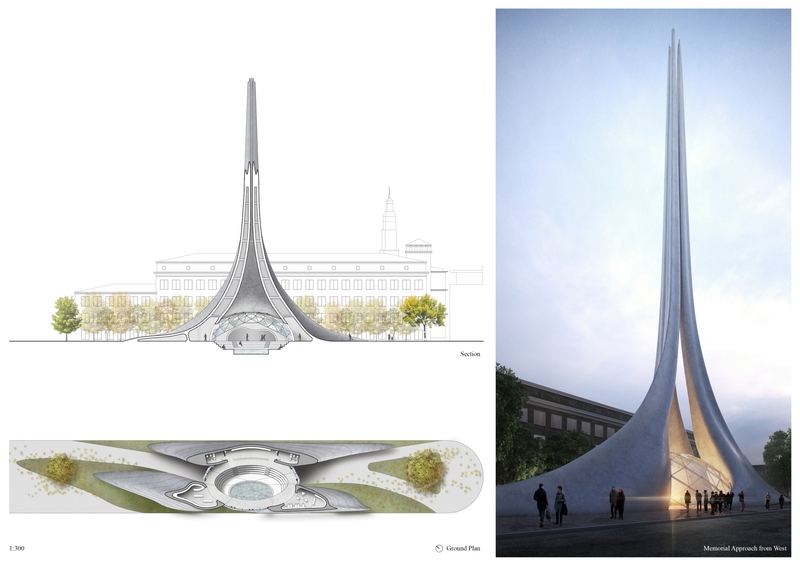 The design also cleverly utilizes its site, as it is experienced differently with the differing speeds of movement around it. 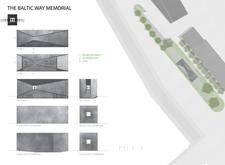 On the one hand, the memorial is first meant to be experienced at walking speed, and allows for peaceful reflection while ambulating through the site. 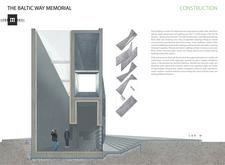 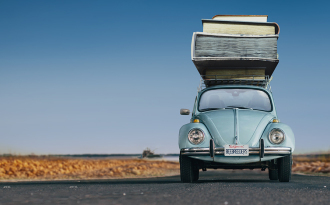 On the other hand, vehicles are also speeding by the site, and one may also experience the quick strum of layered walls while viewing from a passenger window. 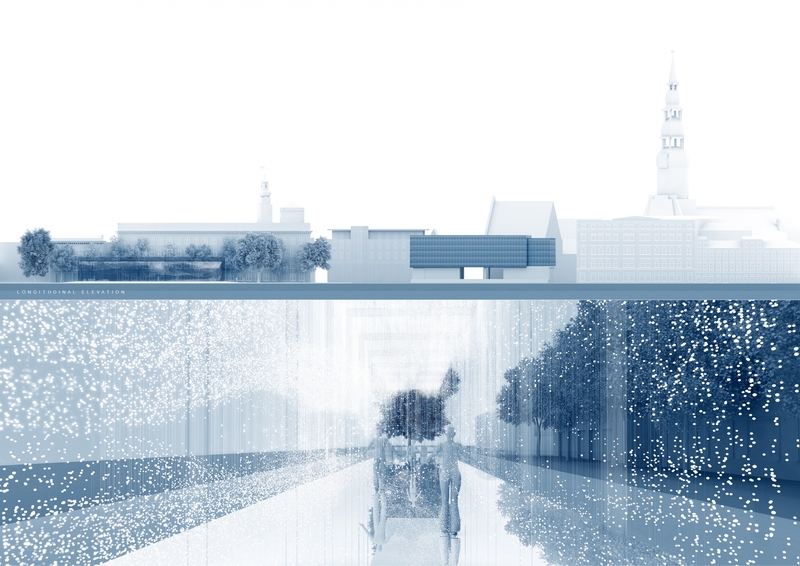 The layering may even be experienced from the water, for occasional boat traffic, which slowly reveals the inside each void while floating by. 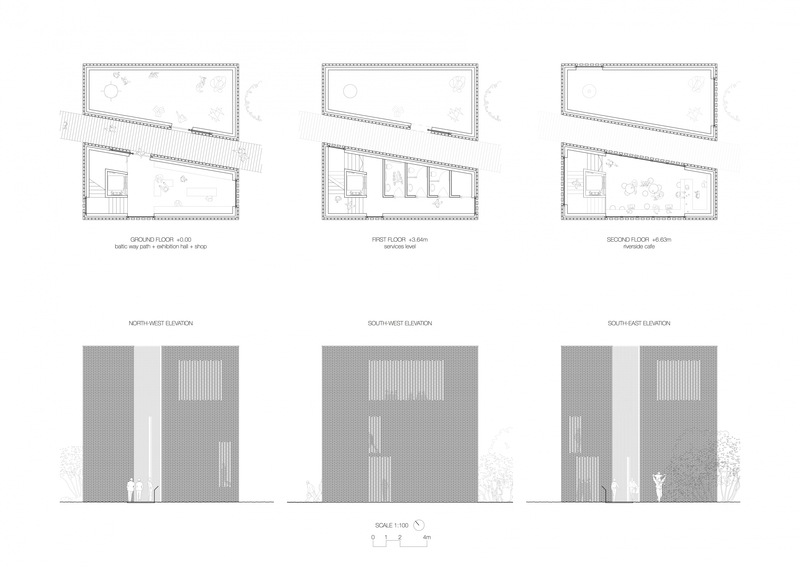 The labyrinthine form is both playful and effective for creating more intimate spaces throughout the project, perfect for resting, viewing an exhibition, or simple small gatherings. 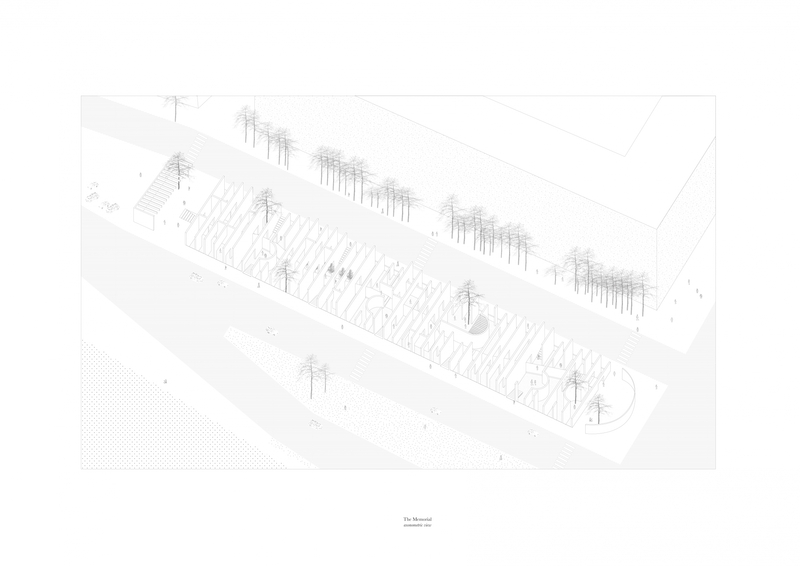 Although primarily proposed as a memorial, this is also a public space for the city that allows for individuals to relax and slow down while strolling through the site, to meet one another, and otherwise. 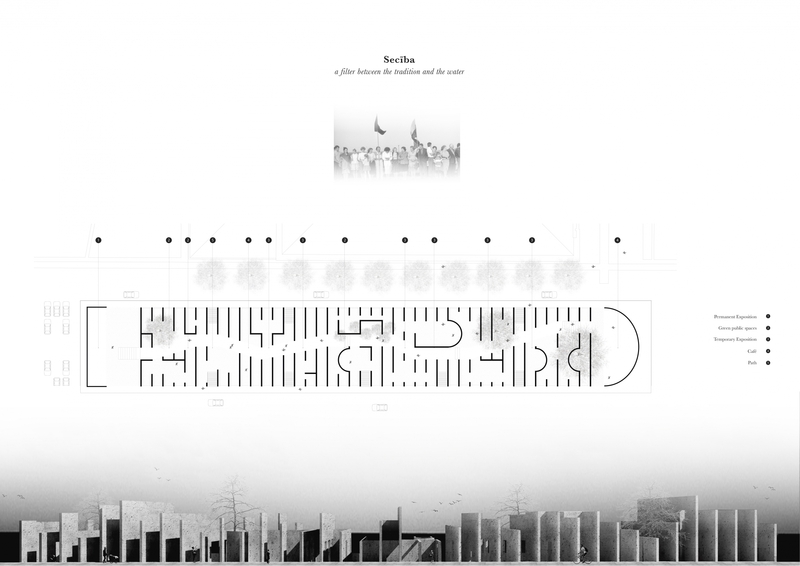 Although roughly reminiscent of Eisenman’s holocaust memorial by using a series of repetitive elements, the design maintains a strong concept as a filter for the city. 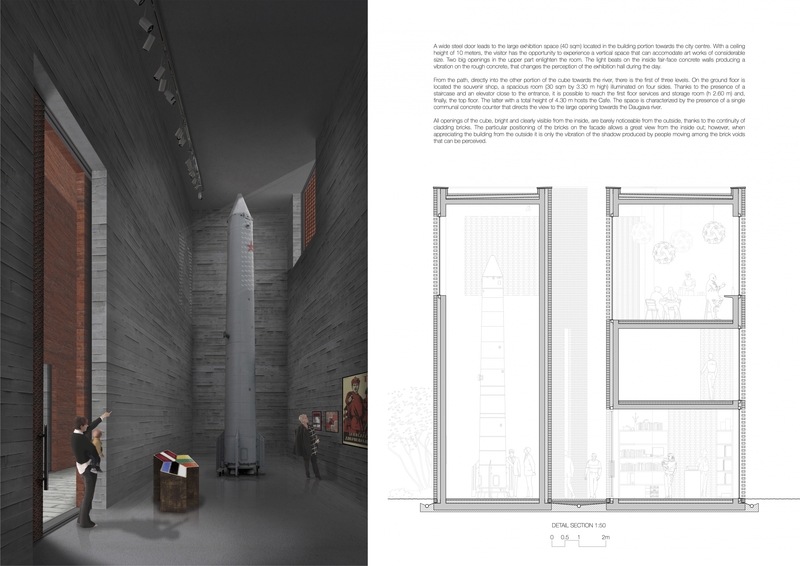 By inviting visitors from all sides, it is respectful of its urban context, and features a series of small stairs that invite the visitor to lightly descend into the world of the memorial. 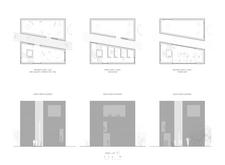 It simultaneously offers privacy by lowering the floor level from the street while also remaining inviting from any direction. 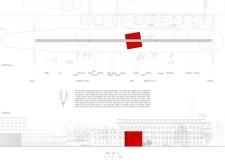 This choice to lower the podium from street noise is an effective tool to set a more serious tone for the site, perfect for learning about the Baltic Way and its effect on the eventual dissolution of the USSR. 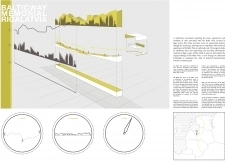 This project succinctly conveys the power of the Baltic Way nonviolent protest by creating a linear path across the site to represent the full path of the 675 kilometer-long human chain. This is expressed with one block of marble for each of the 675 kilometers for the full route, periodically identifying various cities and state borders along the path. 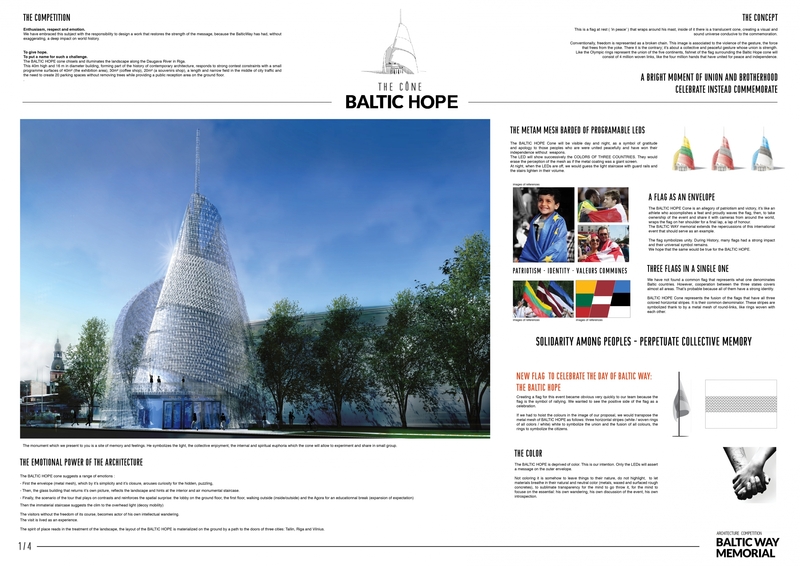 As one moves through the site, one may begin to understand the scale and impact of this historical event as each step of the foot represents 1 kilometer of joined hands throughout the Baltic states. 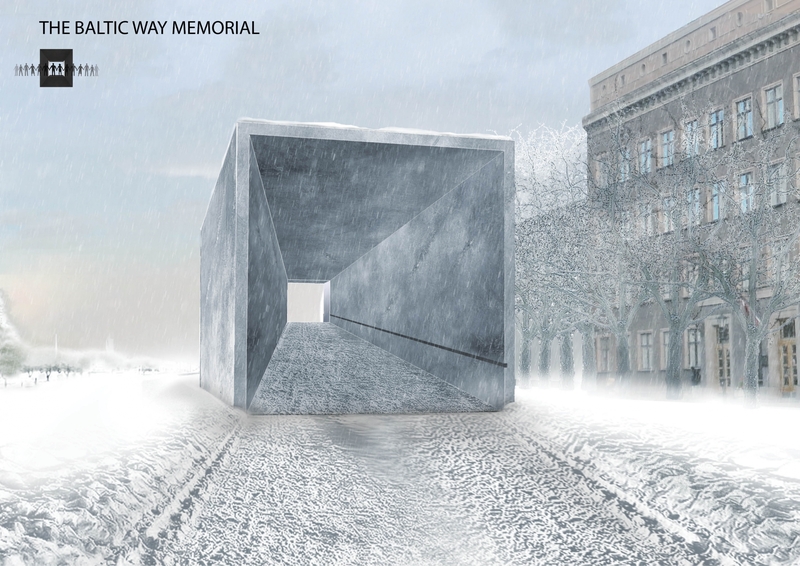 This poetic gesture is then taken a step further with the introduction of the red cube in the center, placed in the symbolic location for Riga, and housing the various memorial functions. The red brick cube, representing soviet control in its monolithic presence, is literally sliced in two by the white marble path. 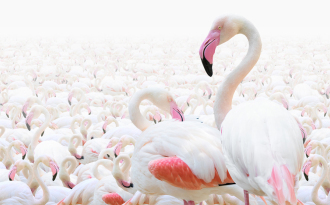 White triumphs over red just as nonviolent protest triumphed over the USSR. Although rich with concept, the final execution of the site plan could be further developed, as the site still feels like leftover urban space, rather than reclaimed public space for the city. 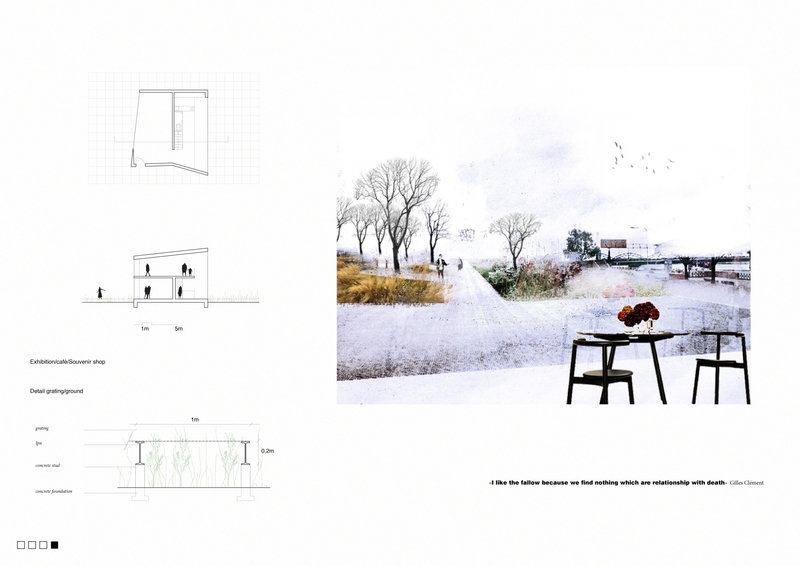 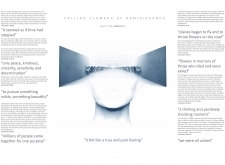 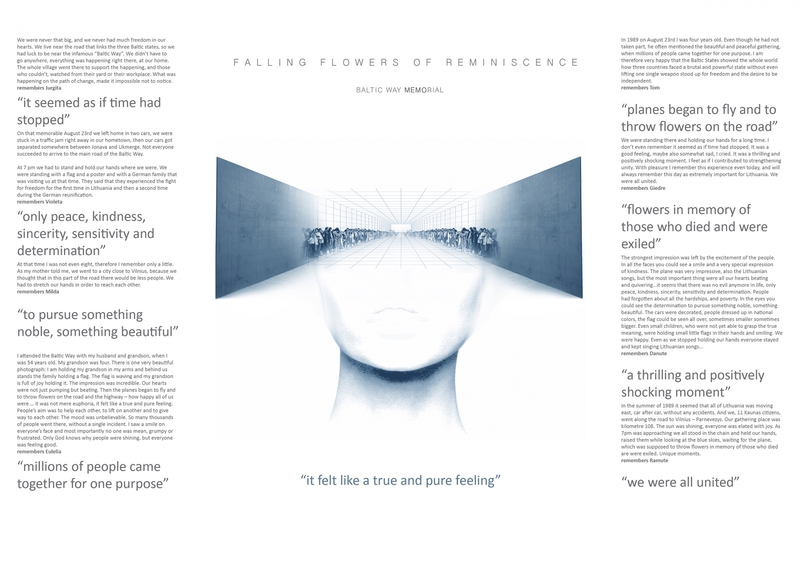 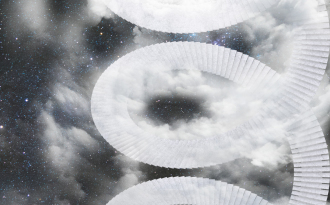 Similarly, the final perspective images, while beginning to express some of these potent poetic ideas, do not fully illustrate the metaphoric potential of the project’s thesis. 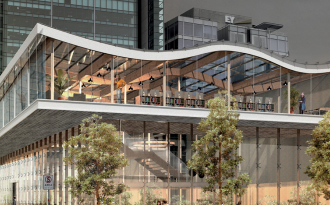 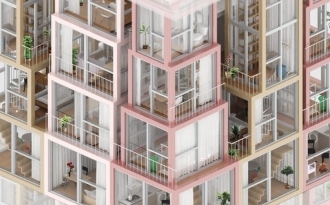 It is also unclear why the cube is slightly off axis, although this could have been an opportunity to further reinforce the rich conceptual fabric of the design. 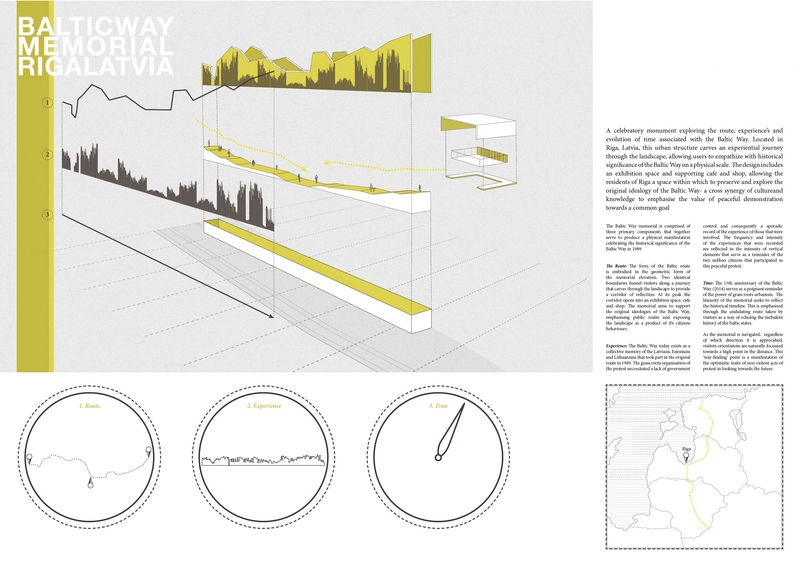 All in all, it is a simple project that cleverly fulfills its task to illustrate the magnitude and importance of the Baltic Way by scaling it down to the human pace of movement. 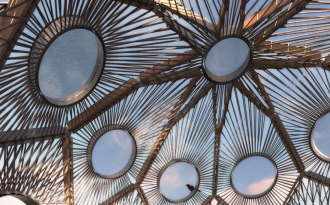 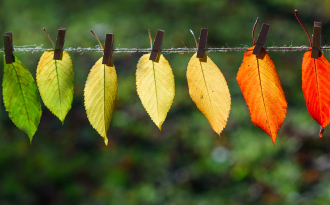 It exhibits a clarity and a control that conveys its message very effectively to the visitor, ultimately spreading a positive message about the power of unity among strangers to change their shared world.